You are here: Home / Uncategorized / Look up! It’s a bird, it’s a plane, no! 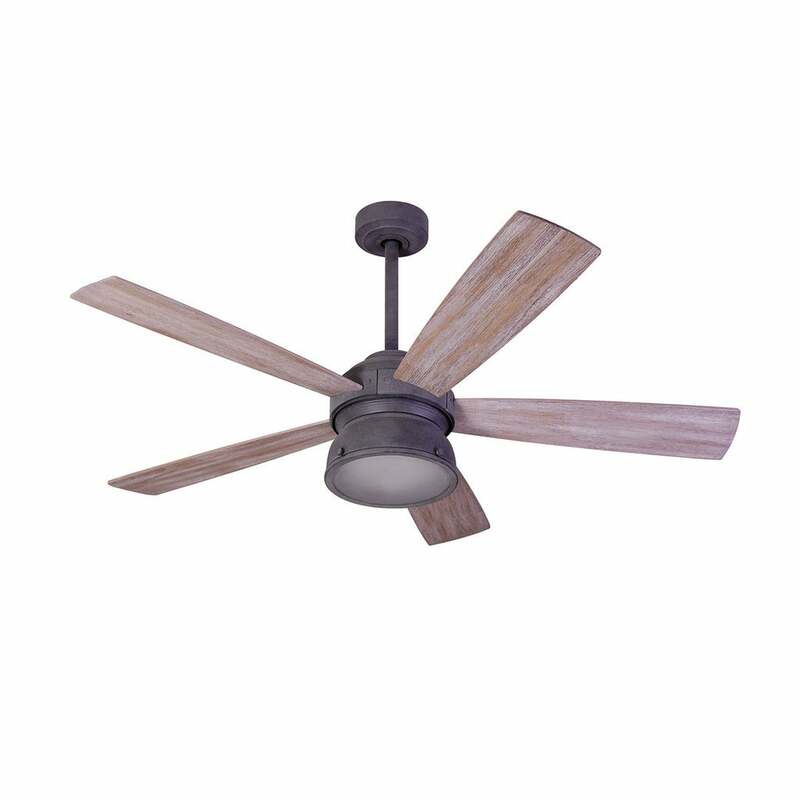 It’s a ceiling fan! Look up! It’s a bird, it’s a plane, no! It’s a ceiling fan! 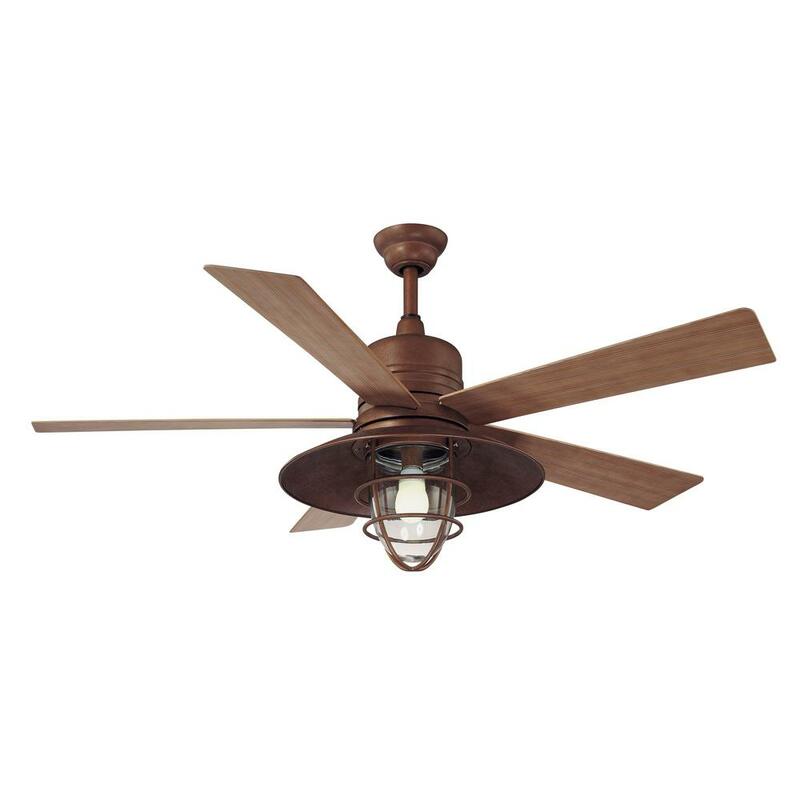 Designers tend to shy away from ceiling fans, but to be truthful, some rooms just need them to be habitable. And with farmhouse being all the rage at the moment, there are some fun ones to choose from! This rustic look is from Aztec Lighting and can be found on overstock.com, I am contemplating two of them for my front porch. I am a little concerned about the light not being bright enough-it’s listed as halogen and some of the newer halogen bulbs are tiny and don’t shed much light, so it will require further investigation. 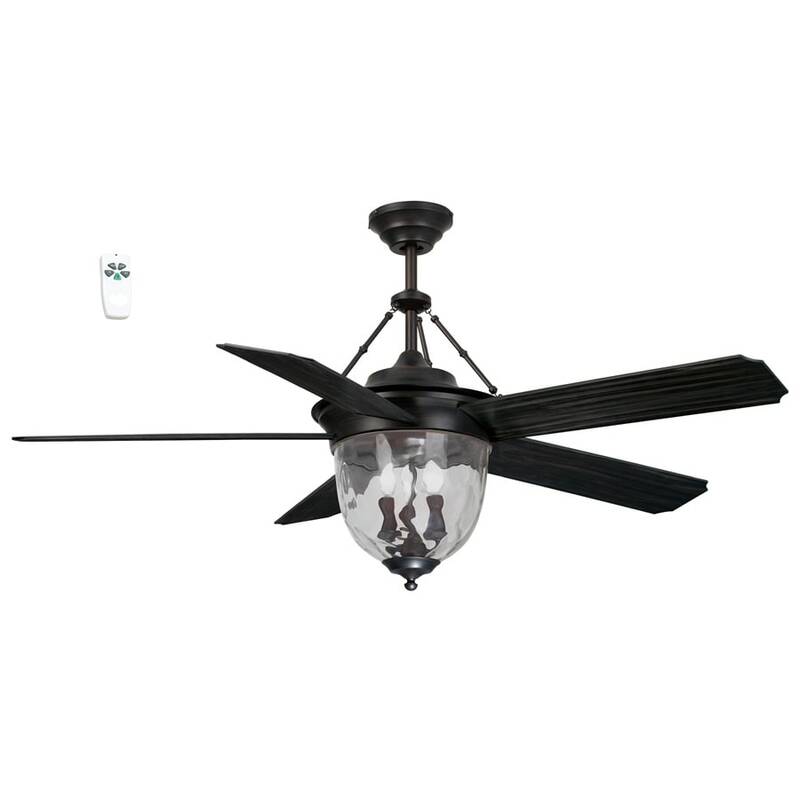 I like this Hunter fan I found on Amazon as well. I like the weathered look n on the fan blades. The finish on this one from The Home Depot by Hampton Bay is unique. I guess in this case your opinion of this one depends on whether your goal is for your fan to stand out of blend in. I think it’s simple enough to lend itself to many different styles. 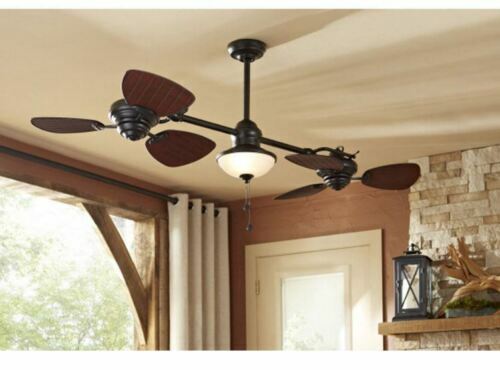 This 52″ Union fan is from Neiman Marcus-who knew they sold ceiling fans?? I enjoy the fact that it’s austere and streamlined but because of the coloring, it could be used in a number of different applications. At $475, it’s a bit pricey for me, but I do really like how unique it is. 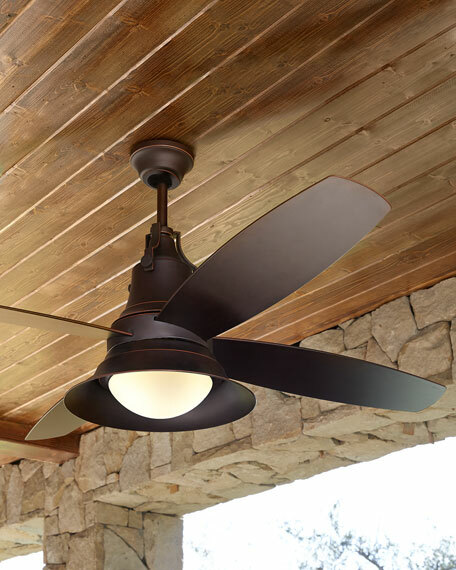 This Litex indoor/Outdoor fan from Lowes has a nice look to it. It is also up there in price at $377.50. I like the wavy glass in the light fixture and the aged bronze finish suits the style really well. This could also be a contender for the front porch. How about this for a statement? 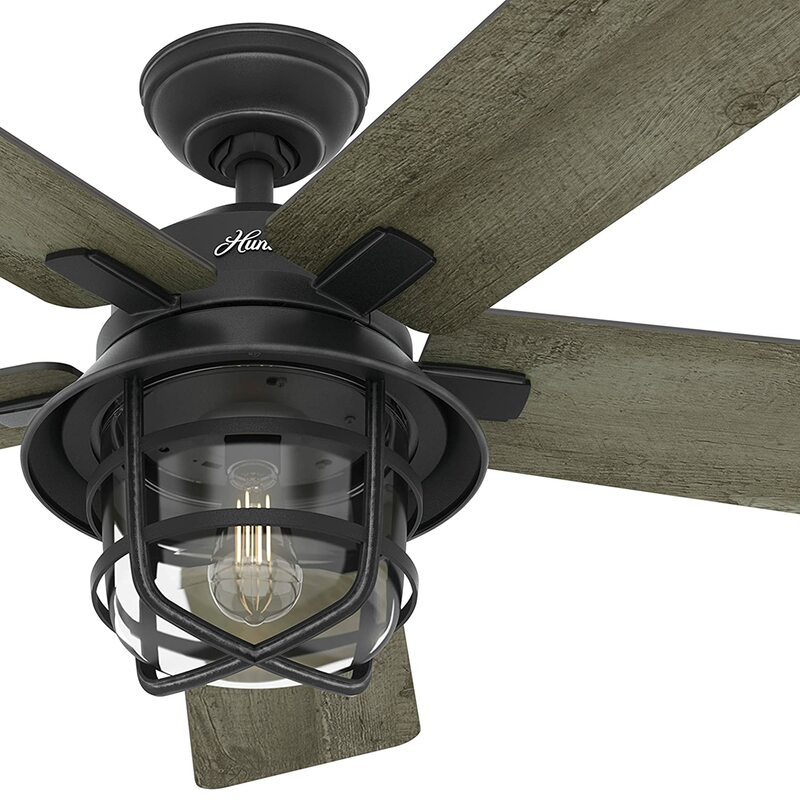 This 60″ Quorum Windmill Oiled Bronze ceiling fan would definitely give you a farmhouse feel- it’s a steal at $1018 from Lampsplus.com! I have to say, I do really like it, but I would like it more if it had a light as well. I pretty much always want a ceiling light fixture when possible.